Palm Valley Country Club. Golf Palm Valley. Palm Valley golf course details and information about Palm Valley Country Club in Palm Desert, California. 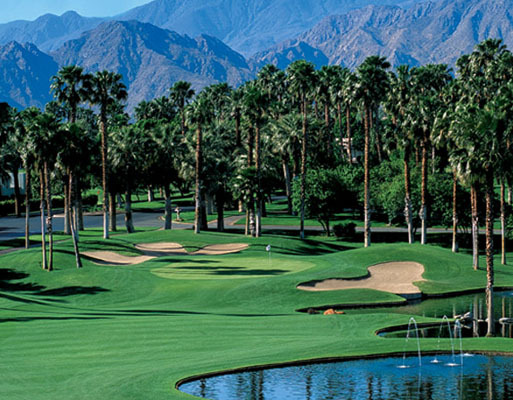 Palm Valley Country Club Palm Desert is located on lush, tropical terrain just 10 miles from Palm Springs. It is a private golf club that offers two 18-hole championship golf courses; the Championship Course and the Challenge Course. Golf at Palm Valley features stunning greens, palm trees, lakes, and waterfalls. It is a beautiful setting with blue skies and mountain views. The Palm Valley Club also offers social and recreational amenities in addition to golf. Some of these include 16 tennis courts, pools, a jacuzzi, and a spa.